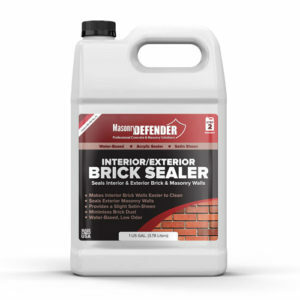 When the surface of the garage begins to exhibit a dull or uneven appearance, apply a single maintenance coat of sealer. 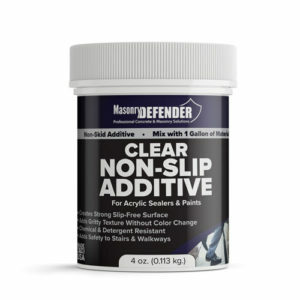 When applying a maintenance coat, clean the surface using a mild detergent and water. 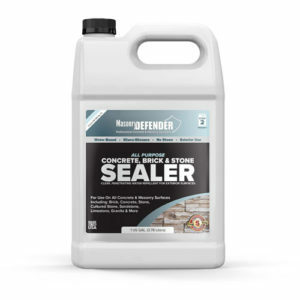 If there are oil stains embedded in the concrete, remove them with MasonryDefender Cleaner. Applying a sealer on a damp surface can result in a “blushing” effect, which is a cloudy appearance as moisture becomes trapped inside of it. 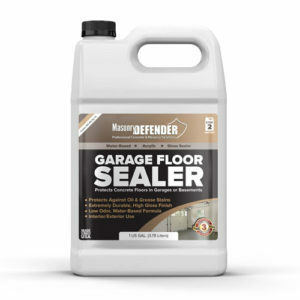 Seal the garage with one coat of MasonryDefenderGarage Floor Sealer according to label directions. 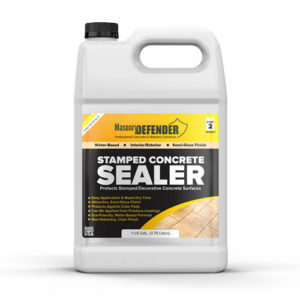 The sealer can be applied using a brush and roller or by spraying using a garden variety pump-up type sprayer or airless sprayer. Avoid puddling or ponding of the product. Allow a minimum of one to two hours dry time prior to applying second coat of sealer. The second coat requires four hours dry time before the surface is subjected to foot traffic. Full cure of the sealer is achieved within five days. To avoid ‘hot tire’ release of the sealer, avoid parking vehicles on the floor until full cure is achieved. Use caution; sealed surfaces will become slippery when wet.